On January 15, 2018, the entire community came together to celebrate the life and teachings of Dr. Martin Luther King, Jr. I spoke with the masterminds–Mr. Sohn and Mrs. Pugh–about the day last Friday. Mrs. Pugh started off with, “So many people hear Martin Luther King, and they just think one thing.” She went on to explain that “his ideas are so applicable and so wide-reaching. He was interested in workers’ rights. He was interested in veterans. He was interested in white garbage men.” Those were the people he marched with and for, so it is paramount that they are remembered as part of the movement. The idea of intersectionality and the depth and breadth of MLK is what allowed me to learn about anti-Semitism in America with Mr. Goldstein. You would think that anti-Semitism wouldn’t be highlighted on MLK day, but Dr. King himself said, “I solemnly pledge to do my utmost to uphold the fair name of the Jews — because bigotry in any form is an affront to us all.” Bay Cohen, a fellow editor here at the Chronicle, co-led the workshop on Opening Dialogue About Sexual Assault and appreciated how “students participated in open and respectful discourse.” Another aspect of Dr. King that was highlighted by this year’s program is the creation of a “Beloved Community.” Martin Luther King Jr. believed that the Beloved Community represents the reconciliation of adversaries cooperating together in a spirit of friendship and goodwill. For us, that meant meeting in Flippin to package 40,000 meals, listening to “Lean on Me,” and spilling an inhumane amount of rice on the ground. Beyond Flippin Fieldhouse, I have to acknowledge how amazing Mr. Sohn and Mrs. Pugh are. 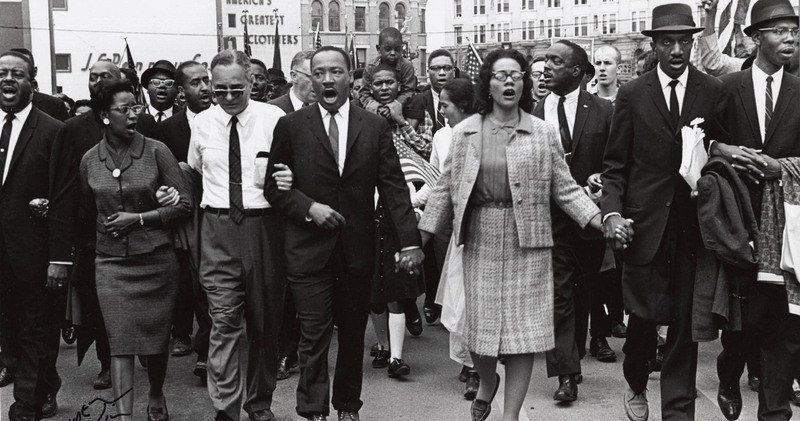 They spent countless hours, days, weeks, and even years bringing MLK Day into fruition. Further, they do far more than MLK Day. As Co-Directors of the Office of Equity & Inclusion, they organize Affinity Dinners for students who identify as minorities. They champion diversity and inclusion not because it’s easy, but because they’re passionate about helping EHS be a truly Beloved Community. The question we can ask after days like Monday is what do we do now? Get involved. Join a club. Start a group. Come up with a workshop. Do any or all of these things, and sooner rather than later. Mr. Sohn and Mrs. Pugh start organizing and booking workshops for MLK day in April, so if you have any ideas, send them an email as soon as possible. Students have more influence than they know, as Jennifer Hamady from the Finding Your Voice: For Colored Girls Only workshop was brought to the Holy Hill by driven students. Well said, Amen, and go to it.